I am working on a web portal design and it used by enterprise admins. I am not sure which device (Laptop/PC) or which browser they are going to login and use the portal, so wanted to show the "Browser support” info. Option 1: Once the admin open the portal - on login page itself, displaying the browser support info in a popup upfront. Admin read the info - close the popup - go ahead and log in on same browser or uses another browser (which is supported) to login. Once logged in to the portal, the same information will be added in footer throughout the portal. Option 2: No popup displayed upfront, browser support info will be added in the footer - in login page & in all other portal pages. In my opinion there is no reason to bother the user with what's currently supported if they're already using a supported configuration. 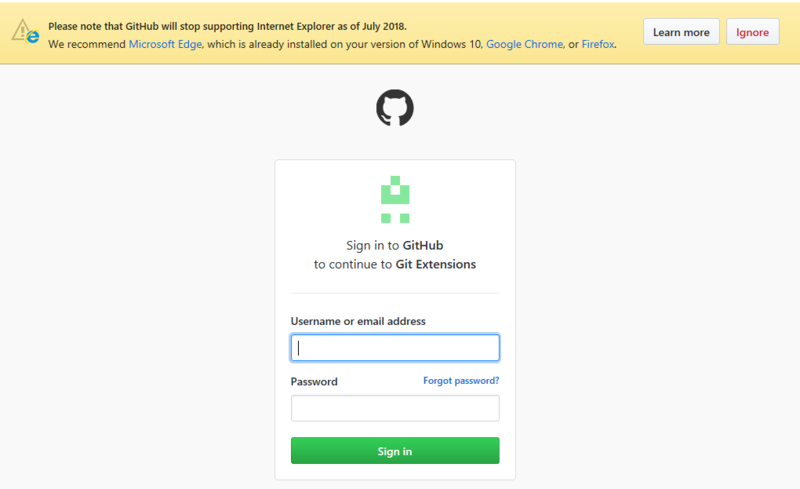 GitHub identifies the current browser configuration and if it's unsupported they notify the user and offer alternative solutions. The user may choose to continue but is accepting the risk of some features not working. The Learn More option provides additional information if the summary text doesn't provide enough information. I believe that Option 1 works best because it tells right away to the user the reason why he might not have the experience he expects (buggy interface, for example), because he is using an unsupported browser/version. Not the answer you're looking for? Browse other questions tagged usability interaction-design popup dialog or ask your own question. Show “Log In” or “Sign up” after adding items to a cart for an e commerce site? Required registration/login for checkout. Should you use a popup on the previous page, or have the login/register on the checkout page?